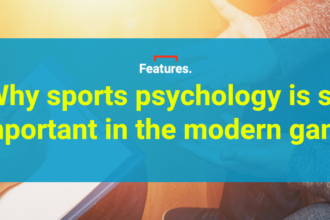 We’ve been treated to some sensational football this week with Juventus‘ attempted Champions League comeback at Real Madrid thwarted by a Brit – but rightly so, it was a pen – and Buffon losing his head, plus Roma‘s incredible comeback against Barcelona. Sadly, Liverpool doing the business at Man City put paid to our two midweek accas, but if you want to cheer yourself up get Googling the three incredible volleys that were scored in the Championship this week. I was at Villa Park along with Prince William – not sat next to him though I’m afraid – to see Jack Grealish’s stunning winner for Villa against Cardiff, and on the same night Lee Evans scored a beauty for Sheffield United. And then on Wednesday Ruben Neves hit an incredible strike for Wolves. If you’ve managed to get your breath back after all of that it’s onto Saturday’s games and there is one huge match which sticks out – Tottenham entertain a Man City team who have, quite incredibly, lost three on the bounce. One of the last games City will want to play is Spurs away, and I’ve picked out three tips, at 10/1, 4/1 and Evens, in the Spurs v Man City Big Match Preview. But first to the Saturday accas. 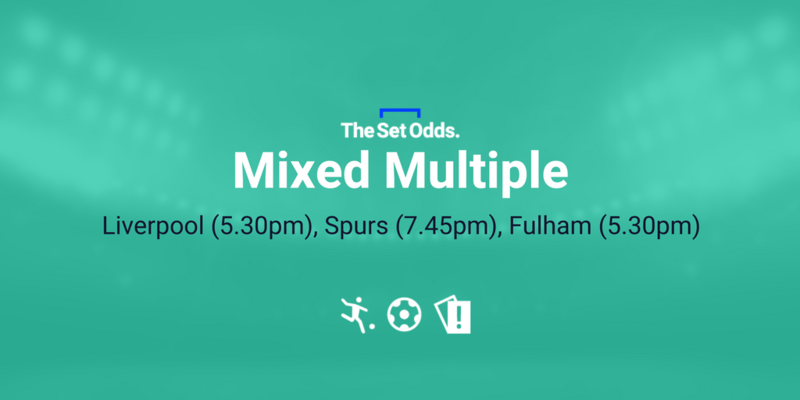 I fancy more doom and gloom for Pep Guardiola’s men at Wembley on the weekend, so I’ve included Spurs in a special late kick-off Mixed Multiple. 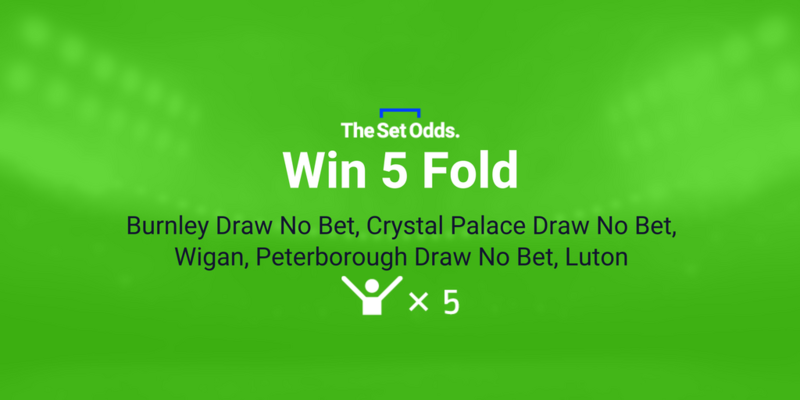 I like the look of Liverpool to beat Bournemouth and Fulham to bash Brentford in the early evening games, and then Spurs to make it four losses in a row – unthinkable a few weeks ago – for City, in a 5/1 treble. 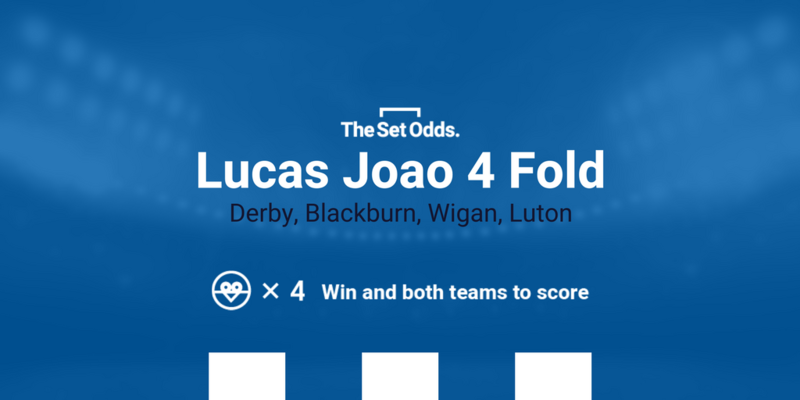 The Win 5fold is back with an 11/1 selection, I’ve gone all League Two in the 19/2 BTTS Acca and the 164/1 Lucas features four promotion-hunting teams from the EFL. I’m hoping for a barnstorming weekend on the FGS bets by tipping up Barnes and a Barnsley man to do the business. I like Burnley’s Ashley Barnes to net the opener against Leicester at 6/1 (Bet365 – bet HERE) and Kieffer Moore to do the same for Barnsley in their six-pointer again Bolton. 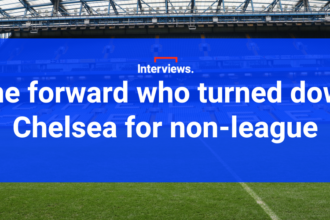 He’s also 6/1 with Bet365 (bet HERE). I’m staking 1pt on each and a 0.25pts each-way double at a big 48/1 (Bet365 – bet HERE) with unlimited places at a third of the odds.